Before consumers ever search for a product, they first search for information. And, if the 1,000 billion searches conducted on Google each month is anything to go by, consumers are hungry for information. Blogs position you to satisfy this hunger. Whether it’s by providing information that can resolve a specific problem or by providing content that can satisfy a simple curiosity, a blog will help you connect with consumers, demonstrate your value, and position your business as a solution to their need, whether your users are yet cognizant of their need or not. Business blogs are on the rise and your customers are looking for information. Research shows that 81% of consumers trust information from blogs and that 61% of consumers have made a purchase based on a recommendation from a blog. If you’re not already providing the content they are looking for, your competitors are. If leading the competition wasn’t reason enough to start a blog for your business, here are four other benefits that will make it worthwhile. First, blogs communicate currency and relevancy to search engines. Since search engines attribute more importance to content that is current, a website that has been updated recently will generally rank better than a website that has not been updated in months or longer. It’s also important to note that blogs that discuss current news or trending topics provide natural opportunities to update your website in a way that does not seem obnoxious to your audience. Second, blogs allow you to build keywords throughout your website in an organic way. In the early days of SEO, some businesses placed excessive amounts of keywords throughout their content in the hope of outranking their competitors. And while, at one time, this method was effective, it is no longer a viable option today. Search engines, let alone your users, are likely to penalize you for “keyword stuffing”. Blogs allow you to still achieve the SEO results you desire but in a way that your users and search engines will appreciate. Finally, blogs allow you to expand and diversify the content offered by your website. With more content comes more opportunities to rank for a keyword. Furthermore, the more high-quality content you offer, the more apt users are to both engage and stay engaged with your website which, in turn, increases your likelihood of making a conversion. Increasing your traffic is nice but your long-term goal is increasing your conversions. Blogs allow you to provide fresh, engaging, and high-quality content that effectively communicates your trustworthiness, builds your customer’s confidence, and helps generate sales down the road. Whether your business uses its blog to establish itself as a thought leader in the industry or to simply establish itself as an expert on its own product or service, blogs demonstrate your authority and credibility. Businesses that earn the trust of their customers and prospects are more likely to generate more sales, however, this is not the only benefit. Often, a secondary benefit is building connections with other industry leaders which can result in beneficial partnerships and new sources for leads. As we discussed in a previous post, customers want to tell you how you can satisfy their needs and earn their business. Blogs, then, are not only a perfect platform for showcasing your business’s personality, but they are also a great way to understand your customer’s, too. How do achieve this? By having conversations, of course. A quality blog provides content that is inquisitive, thought-provoking, entertaining or some combination of these characteristics. Whether customer engagement results from an intentional ask or as the result of your chosen topic, conversations on your blog will help you develop a picture of your customers as well as your potential markets. In time, as you gain a better understanding of your core group of customers you will also be able to create more relevant content, which in turn should lead to increased loyalty to your brand and higher rates of conversion. Running a blog is an investment that yields several types of return. Aside from the aforementioned benefits to your website’s SEO and the potential to gain valuable insights about your customers, blog content can easily be re-purposed for your business’s social media, newsletters, print documents, and other marketing collateral. In other words, blogs add minimal time and cost demands to the work your business is likely already undertaking. Still not sure if blogs are worth the time? Remember, your blog is working to promote your business even when you’re not. It’s a sure way to have an advocate for your brand 24/7. Maybe one of the most crucial benefits of blogging is the ability/opportunity to build inbound links quickly. By creating content that people want to read, and then share, provides deep links that don’t just point to the main page of your site. As people link to your posts, your links are dispersed over the web which helps your website’s indexing power. One of the main factors of search engine indexing is inbound links. 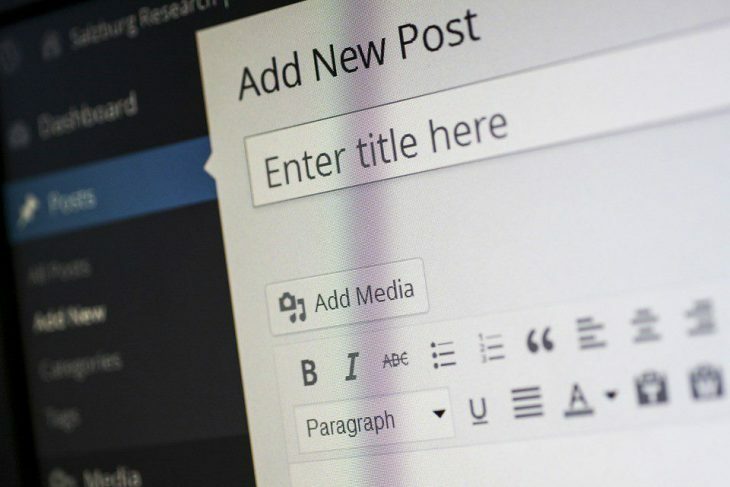 A blog is a wonderful tool for a business of any size to connect with their customers, provide them with valuable information, and position their customers for a future purchase. And while generating sales are certainly one of the most compelling benefits of running a blog, keep in mind that it shouldn’t be your only reason for blogging. After all, how would you feel if you arrived at a website that blasts you with excessive advertising? Provide your audience with something of value, though, and you’ll likely receive something of value in return. Which benefit would you like to see for your business? webFEAT Complete can help you through the process of creating, maintaining and optimizing a blog so you can start enjoying all of its benefits. Our team can provide you with frequent, high-quality articles. Learn more about our Search Engine Optimization services and our Social Media Management services. When you’re ready, contact us. We look forward to helping you! Zach offered a rich blend of talent for content development that could be tailored to any type of business. He is no longer with WFC, but his content writing abilities are showcased with his posts.